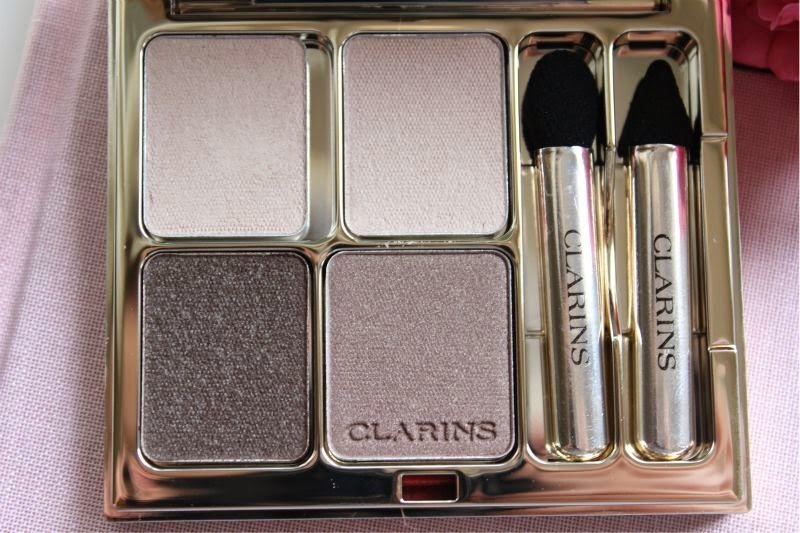 For Autumn 2014 Clarins will release their Ladylike collection which features lots of neutral shades. Perfect for everyday wear to define and enhance your features yet never boring. 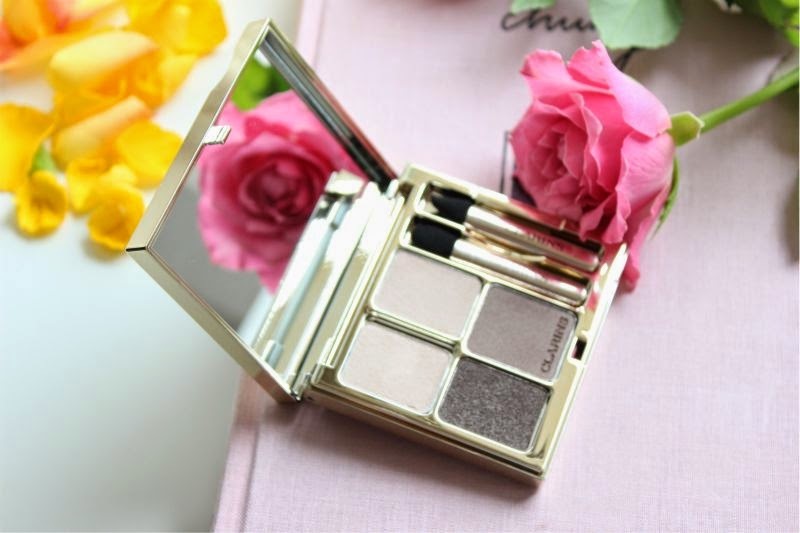 One of the stand out pieces in my opinion has to be the Clarins Autumn 2014 Ladylike Collection Skin Tones Palette, four well coordinated cool toned browns that will suit just about every skin tone (hence the name) and occasion! I am forever admiring the packaging of Clarins products, they are beautifully presented particularly the powder formulas. All contained within light gold metal casings that is simple, elegant, classic and yet beautiful. They feel and look luxurious due to the weight and high polish finish of the casing, each item is delicately embossed with a "C" on the outer shell and come complete with a great quality mirror inside the compact as well as featuring the appropriate applicators dependent on the product housed inside. 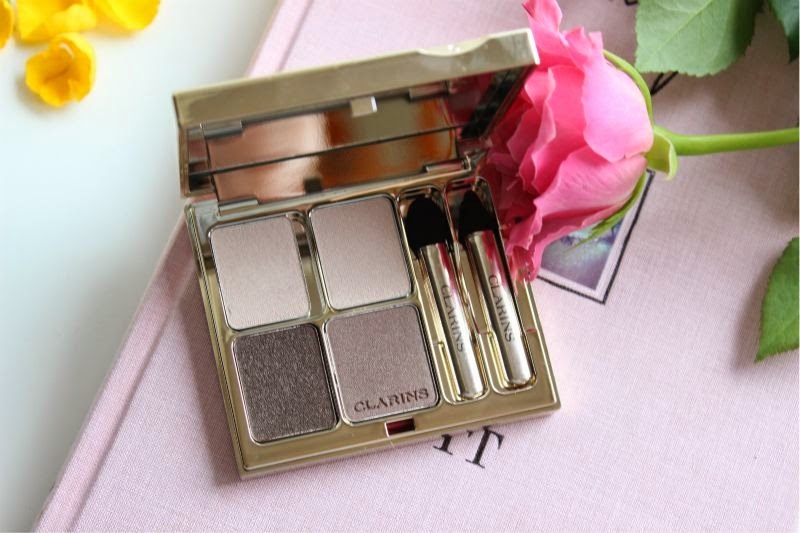 As you can see the Clarins Autumn 2014 Ladylike Collection Skin Tones Palette leans rather cool in tone and could probably be described as a medley of taupe rather than your big standard browns. 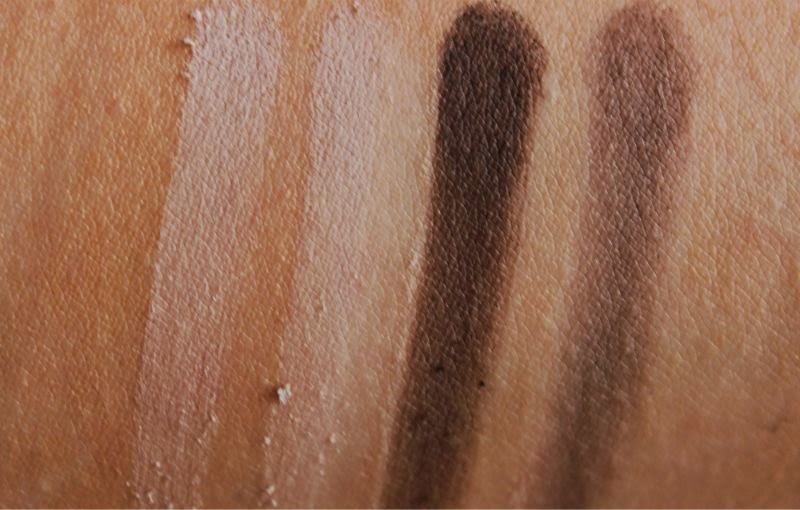 You have two creamy almost ivory shades that can be used as an all over wash of colour to brighten the eyes or as a highlight. There isn't a great difference in shade or finish with this duo, I wish one was a little deeper or perhaps frost in finish to allow this palette to be more versatile? There is also a deep cool toned brown grey which can be used to add definition, create a smoky eye or even be used on the brows as it is matte. Lastly we have a true mauve shade which is not completely matte - more satin in finish so it has a little shimmer. This is the perfect blend of grey, purple and brown and I am struggling to think of an eye colour this won't look great on. If you like MAC Satin Taupe but wish it was not a shimmer based shade this is the one for you. 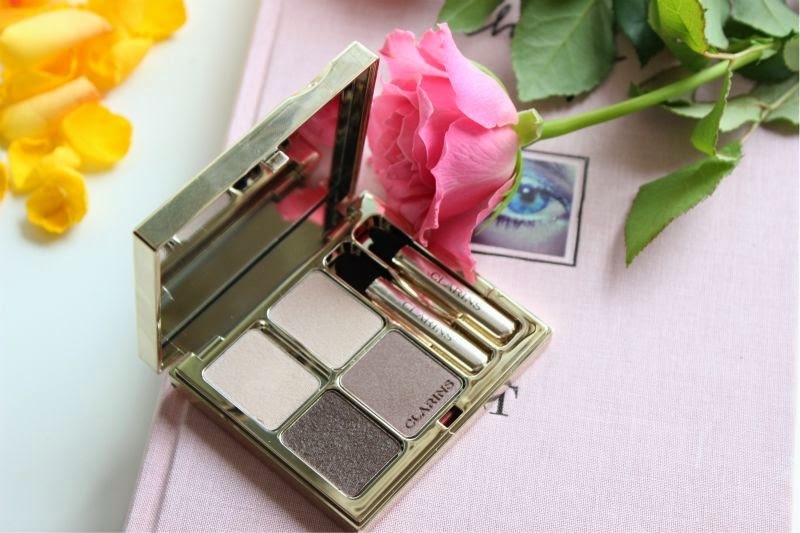 The formulation of the Clarins Skin Tone Quad eyeshadows are firm and can be a little dry on occasion but on the whole they deliver a high colour pay off per shade. 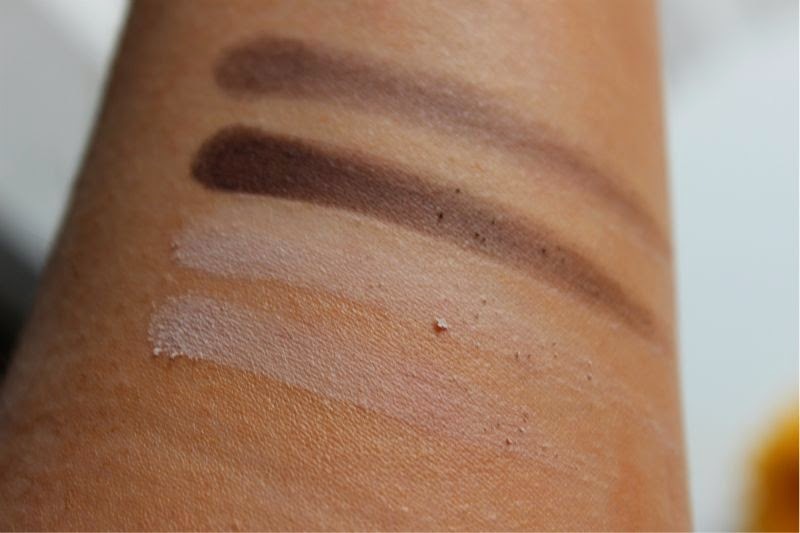 As the majority of the shades are matte some skin tones mainly those with a deeper complexion may find the shades a little stark but please note that the appear far less ashen on the lids than they do on my arm. I am going to try and implement a way to show the eyeshadows on my eyes going forth as sometimes arm swatches aren't enough. Despite being a little dry they do blend out with ease and aren't prone to product fall out.Without a primer these shadows wore around six hours before I encountered creasing but this is mainly my problem (oily skin) and not the actual product. With a primer these lasted eight hours with ease. 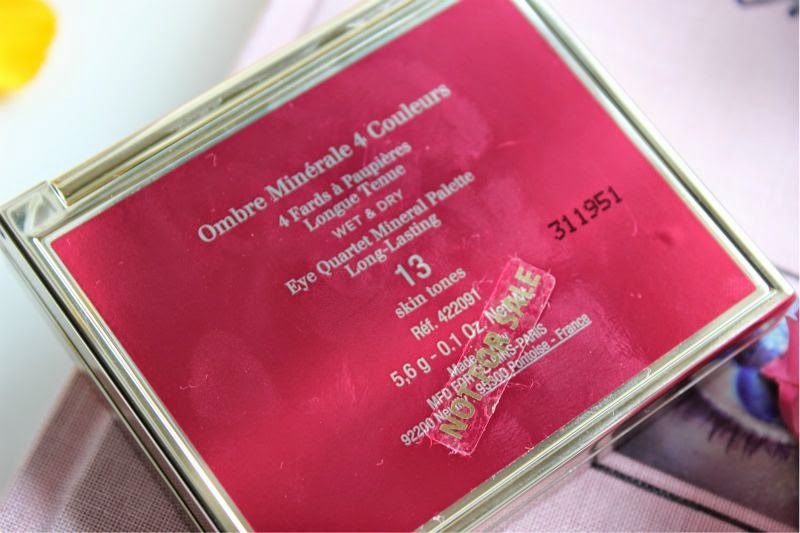 The Clarins Autumn 2014 Ladylike Collection Skin Tones Palette will launch in August.